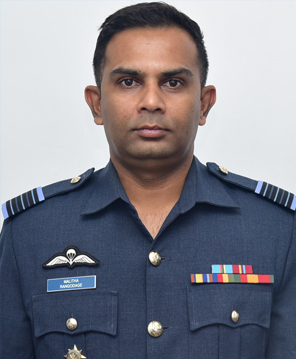 The Colombo Air Symposium 2019 welcomes the intellectuals, scholars and experts in the fields of defence and security to an international forum to share and develop innovative concepts on the strategic application of Air Power in addressing the multi-faceted challenges emerging from every region of the world. This year's theme "A Small Air Force: Way Forward in Achieving Future Vision" is focused on exploring the role of small air forces in a future which emphasizes the importance of strategic intervention of Air Power in coining pragmatic solutions for the matters stemming from the national security concerns as well the other widening global issues such as the global warming and natural disasters. Colombo Air Symposium 2019 will be held On 24th & 25th of October at Eagles' Lakeside Banquet & Convention Hall in Attidiya.